In its side-street Over-the-Rhine location, Please offers more than just an inventive atmosphere. The menu features two large tastings, one for vegetarians and one for omnivores, as well as an a la carte section that includes everything from beef tartare to cheesecake. During the cold months, the west coast oysters are a great seasonal seafood choice. Three two-inch oysters are served on a bed of ice with a side of ground cherry and habanero mignonette. With the first bite, the lightly salted exterior gives way to the sweet, tender meat of the fish. 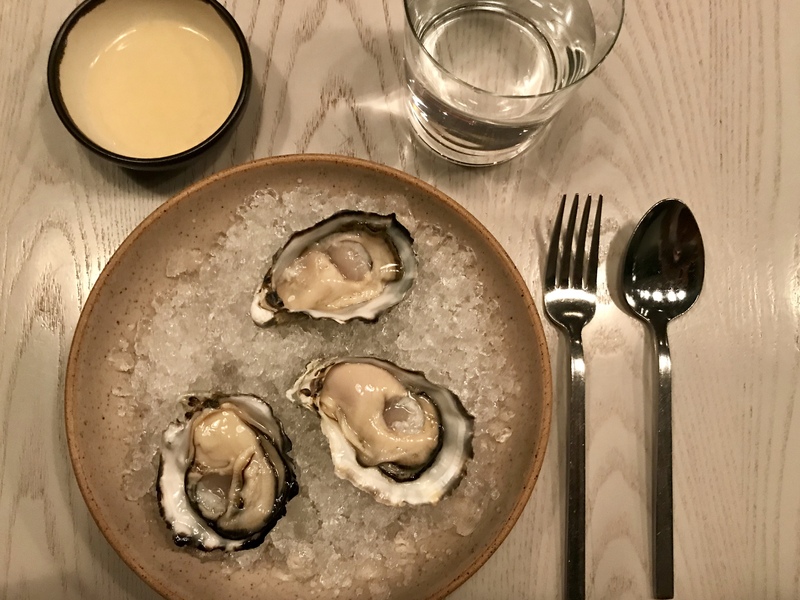 The mignonette is a fair pairing for the oysters—the acidity cuts through the creaminess of the meat, providing a more well-rounded flavor. If you’re sharing dinner with a friend, consider the crispy potatoes as a second plate. The potato mound is covered with taleggio cheese and green garlic, providing that flavorful crunch you may be craving post oysters. Please opens at 5:30 pm, and the dining room starts to fill by 6, so head over to pleasecincinnati.com to make a reservation.